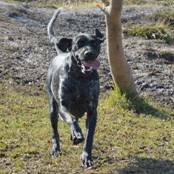 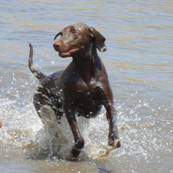 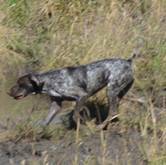 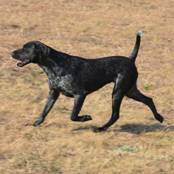 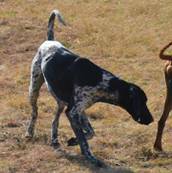 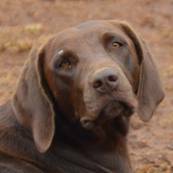 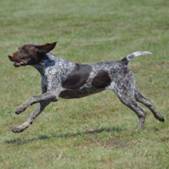 The GSP is a noble, steady dog showing power, with endurance and speed, that is alert and energetic with well co-ordinated movement. 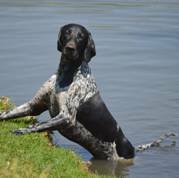 As good family pets, they are gentle, affectionate, even-tempered, alert, biddable and very loyal. 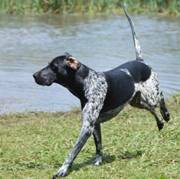 They vary in colour - Solid liver or black, white with ticked liver or black markings, not tri coloured. 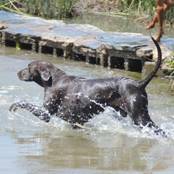 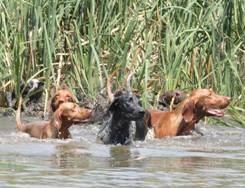 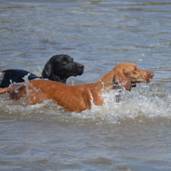 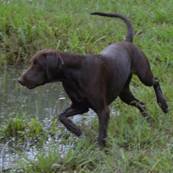 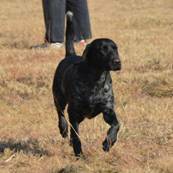 Height at the withers is Dogs - 58 – 64 cms (23 -25 ins), Dams –53 – 59 cms (21 - 23ins). 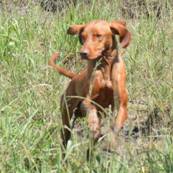 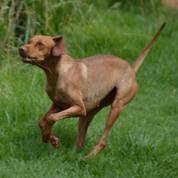 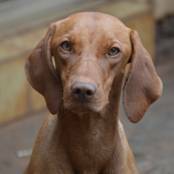 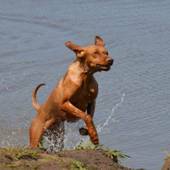 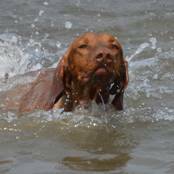 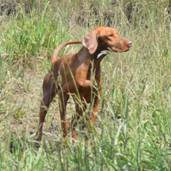 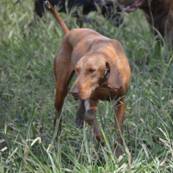 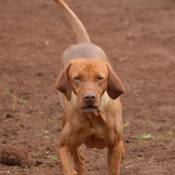 Vizslas are high energy, gentle-mannered, loyal, caring and highly affectionate. 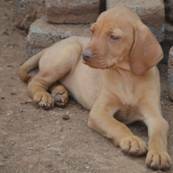 They are wonderful family dogs and need a lot of love and attention. 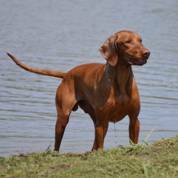 The standard coat is a solid golden-rust color in different shades of copper/brown, russet gold and dark sandy gold. 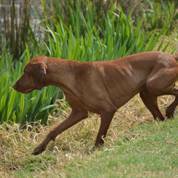 Height at the withers - Dogs 22 – 25 (20 – 30 kg), Females 21 – 24 in (18 – 25 kg). 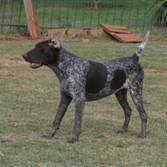 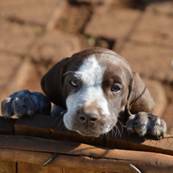 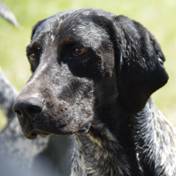 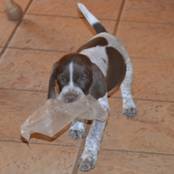 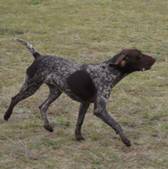 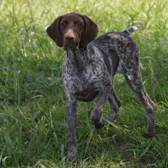 We have been breeding GSP’s since 1998, we imported our original lines from USA Partridge Run’s kennels with Show and Field Champion bloodlines. 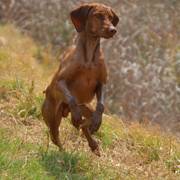 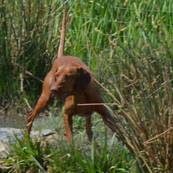 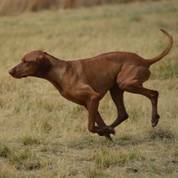 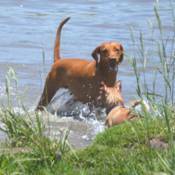 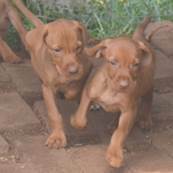 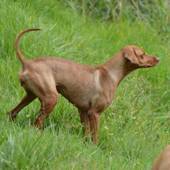 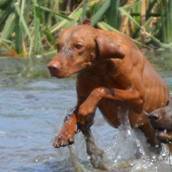 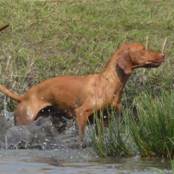 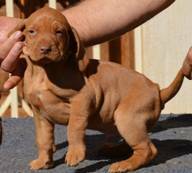 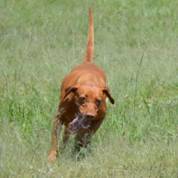 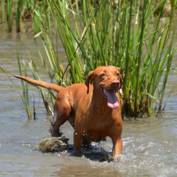 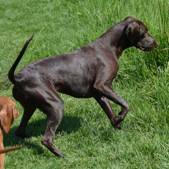 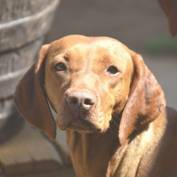 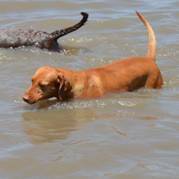 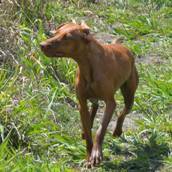 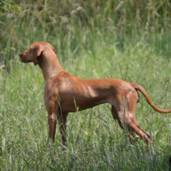 We have been breeding Hungarian Vizslas since 2004. 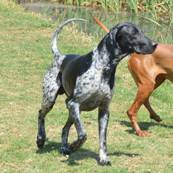 Our lines are a combination from local breeding, as well as dogs imported from Germany and Hungary. 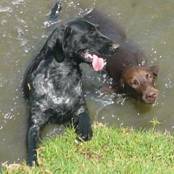 Our dogs are not kennelled and are part of the family. 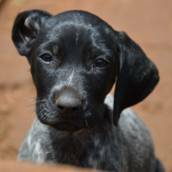 Pups live inside until they can see and move independently, and are socialized with the other dogs from the time they move outside to warm and secure fenced off area. 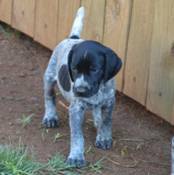 They have human contact on a daily basis and are accustomed to being picked up and handled. 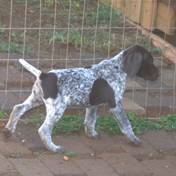 They are KUSA registered, inoculated by a registered vet, microchipped and dewormed. 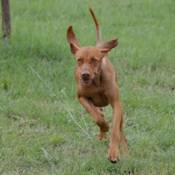 When purchasing a puppy you need to be aware that GSP’s and Vizslas are very active and intelligent, thus require plenty exercise, stimulation, affection and a large garden area. 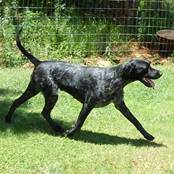 They are bred for hunting thus need to be introduced and well socialized from young to cats and/or feathered creatures if you want them to get along with them. 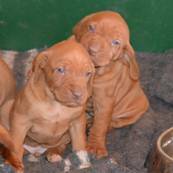 Vizslas do’nt manage cold weather well and need a warm place to sleep.